Marco Vandoni at Ocean Independence in Monaco gives me the green light to broadcast news that he's now taken over the central agency for sale of the 49.9m full displacement motor yacht Mar with a price reduction. Built by Ortona Navi in 2008, she was designed by Progetti & Associati and accommodates 12 guests in six staterooms including a master suite on the main deck. Twin 1575hp Caterpillar engines give her a cruising speed of 12 knots and a range of 3,800 nautical miles. 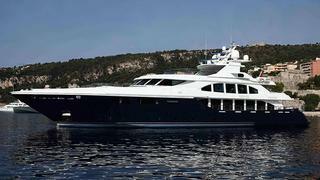 Available to view in Malta, Mar is now down in price from €19.8 million to €15 million.